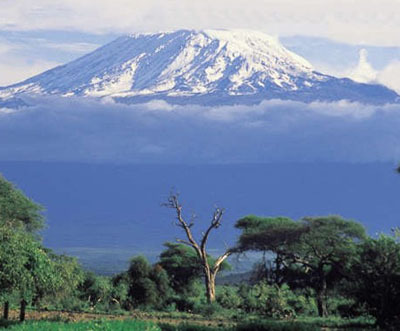 Sound Strategies is not planning to climb Mount Kilimanjaro this year. But it is supporting someone who is. That person is the world famous percussionist, Dame Evelyn Glennie, a musical colleague and one-time collaborator with Sound Strategies consultants Michael Spencer and Andrew Peggie. There is a good cause, as Glennie explains: ‘I have chosen AbleChildAfrica and the challenge of climbing Kilimanjaro because I want to make a sustainable difference to our next generation. I have good reason to recognize the importance of education for ALL children; it empowered me to make my own unique journey in life. The children supported … by this charity desperately need inclusion. A disabled child in Africa is too often without hope. Enabling these children means enrichment, quality of life, and reduced dependency for them, their families and communities. My challenge is to climb a mountain – your challenge is to help me make a difference’. As many people will know, Dame Evelyn’s personal experience is of overcoming a hearing disability in spectacular fashion, by becoming a world class solo percussionist. And she is perhaps a unique embodiment of the Sound Strategies professional ethic: hearing is not enough – we need to listen. And listening involves the whole body and mind, a sensitivity to resonances everywhere, both physical and intangible, and the ability interpret and reflect this invisible agitation of molecules in ways which are creative, productive and beneficial. Just as Sound Strategies takes the principles of musical communication and applies them to a much wider professional and corporate environment, so Dame Evelyn extends the limits of hearing into all forms of communication. Presumably she will take some drumsticks on her ascent up the mountain. Some of the world’s first percussion instruments were probably created in Africa. Before pre-humans invented resonating materials such as iron and bronze, or stretched animal skins, or tensed bowstrings, it’s most probable that they discovered the resonating qualities of some rocks and stones. The lithophone still exists in parts of Africa. It has stone bars instead of wooden ones such as in a xylophone. Will she discover any new sounds? Probably not. Will the altitude make a difference to any sounds produced? In theory changes in air pressure and composition affect the transmission of air-based pressure waves (sounds), though these changes would be virtually undetectable by the human ear. As all musicians know, communicable sounds need some means of resonance to aid their propagation. The top of a mountain is like an anechoic chamber – there is nothing for the sound waves to reflect back from, so the effect will be a scary, ‘dead’ silence where sounds simply appear to ‘fall’ to the ground with no carrying power. Assuming of course there is no gale blowing. If there is, the sound will come from the ‘edge tones’ created by the wind around the ears and bodies present which form points of turbulence. Sound is a form of turbulence, disturbance, of life. Things have to move, oscillate and change to create sounds. Our bodies respond to sounds whether we want to pay attention or not. Conflicting or disturbing sounds affect us both physiologically and psychologically. That is why being able to manage our sonic working environment is so important. Dame Evelyn will be making her ascent from November 25 to December 3. She is one of the patrons for Able Child Africa and is committed to raising £25k to provide educational facilities for disabled children in Africa. There are in excess of 50 million disabled children who never have access to education and therefore are unable to make the most basic life choices. The organisation seeks to provide inclusion for them and thus help them to help themselves. "Michael rapidly captured the attention of the audience in an engaging style at our Thought Leaders conference in Lugano... an extremely well structured approach to communicate his ideas...a charismatic personality. We were delighted with his excellent presentation"